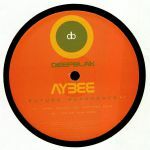 Review: Deepblak maestro Aybee is back in action on his home turf with a finely crafted selection of future-minded variations on the techno template, where rhythms shift and a cosmic sense of exploration reign supreme. "Afro Galaga" surges with a Motor City-informed pulse, but there's some signature Aybee looseness in the programming. "Escaped Drum" pushes this notion further out into broken beat territory without losing that urgent upthrust, before "Chief Sun Moon" swerves into deeper territory with a motif that wouldn't sound out of place on Livity Sound or a similar UK-rooted label.